Engines using higher compression ratios and / or longer stroke crankshafts than standard place greater loads on the starter motor. Under certain conditions these loads have been found to break the made from resin internal ring gear of the stock starter motor. 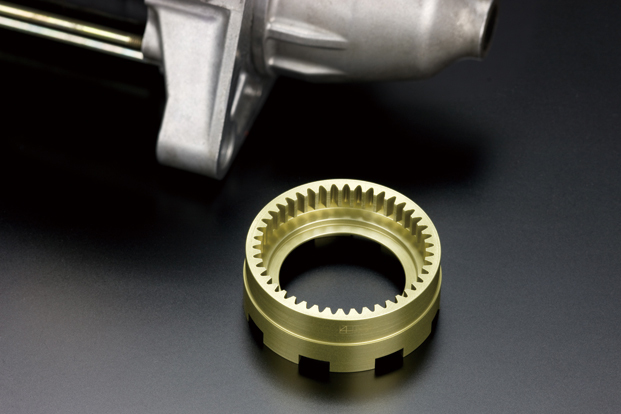 The resin gear works perfectly well with the standard engine, but when used on an engine with both a stroker kit and higher compression ratio, the gear can soon be come damaged requiring a new starter. TODA Heavy Duty Internal Ring Gear uses high quality material along with a surface treatment for good compatibility with the internal planetary gears. We highly recommend it for improved reliability when running a tuned or stroker kit engine. Honda genuine internal gear part number 31214-P3F-003 (DENSO) is the base unit who’s internal gear which has modified. But the gear can also be replaced in other starter motors. However we can’t guarantee that it will fit all starter motors, confirmation by comparing starter motor parts lists is required. Remarks This product was designed based on P/N 31214-P3F-003 (HONDA genuine parts ring gear).